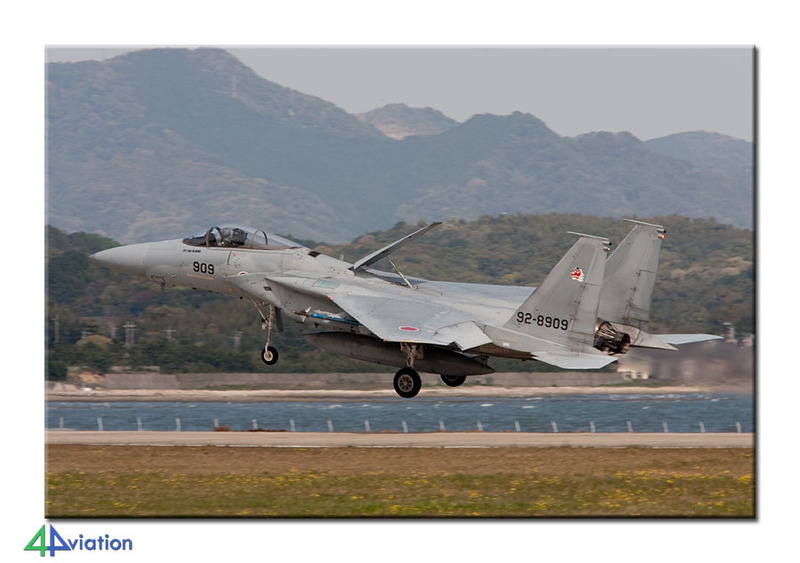 On 3 April 2010, 4Aviation went to Japan for the second time, with a group of 11 persons. The original plan was to stay in the country until 18 April, to visit the many interesting air bases in the country and take pictures there. The cloud of ash over Europe eventually resulted in a prolonged stay in the land of the rising sun. After all had gathered at Schiphol, the first part of the tour consisted of a flight was a KLM Boeing 747 that took us to Tokyo-Narita. After arrival, on Sunday 4 April, the final participant joined the group and the rental cars were directed to head north. The first night was to be spent in Hachinohe, where the cars were parked in front of the hotel late during the evening. Expectations for the Monday, the first operational day, were high. After an early and swift start the group was at Misawa at a very convenient time. Unfortunately, the wind was blowing from the east. This meant that the runway was in use that provides a bit worse photographic opportunities, than when the wind is from the west. Nevertheless, the day was spent enjoying what Misawa has to offer. At first, the Americans appeared to stay in their shelters this day. Eventually they launched no less than 20 F-16s. All in all, enough reason to stay at the base for the entire day. 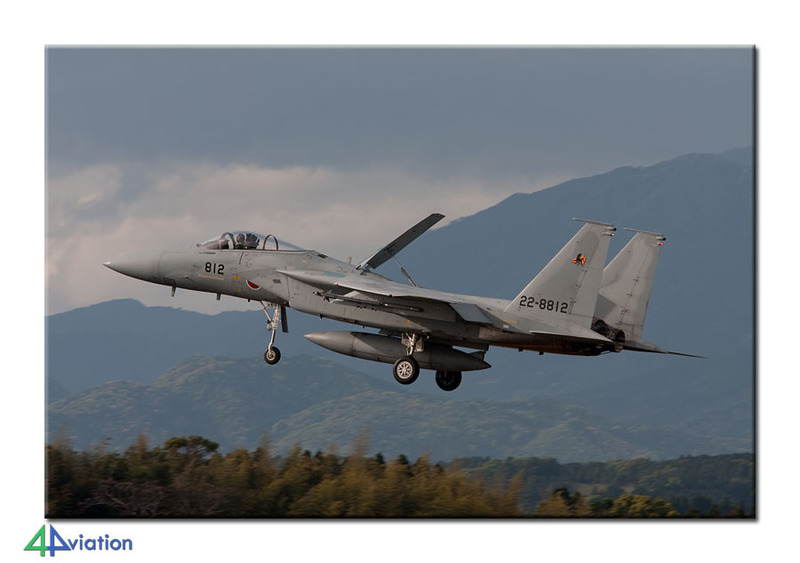 Apart from the locals, unfortunately the Hawkeye did not show itself, also some interesting visitors were pictured; a KC-135 from Kadena and a YS-11 from Iruma. Like last year, the local stepladder supplier experienced a sudden rise in the turnover; everyone bought his stepladder here. A very useful aid for photography during the tour. After a short stop at Hachinohe, we headed for Furukawa, where the night was to be spent. On Tuesday 6 April 2010, we ventured out to find Matsushima. The fog that was there early morning luckily disappeared quite soon, after which the F-2s and T-4s of the air base soon emerged. The unit was, as almost anywhere in Japan, pretty active. By changing the runway in use we were presented the opportunity to picture the aircraft at the several spots around the base. A display of Blue Impulse topped the day off and at the end of the day we drove to the next destination, feeling happy with the result. On 7 April, the first Wednesday of the trip, everyone rose just a little bit earlier. Since Hyakuri was the target for this day, and we had agreed to enter the ´Ku No Ji´ point of the base at 07.30 local time, we had to make sure not to lose too much time this morning. Our Japanese contact was near the entrance to the spot (a small part of the base Is still in private hands, the owner opens the gates for a fee, offering a spot that is so perfect that there is hardly a match anywhere) exactly on schedule. 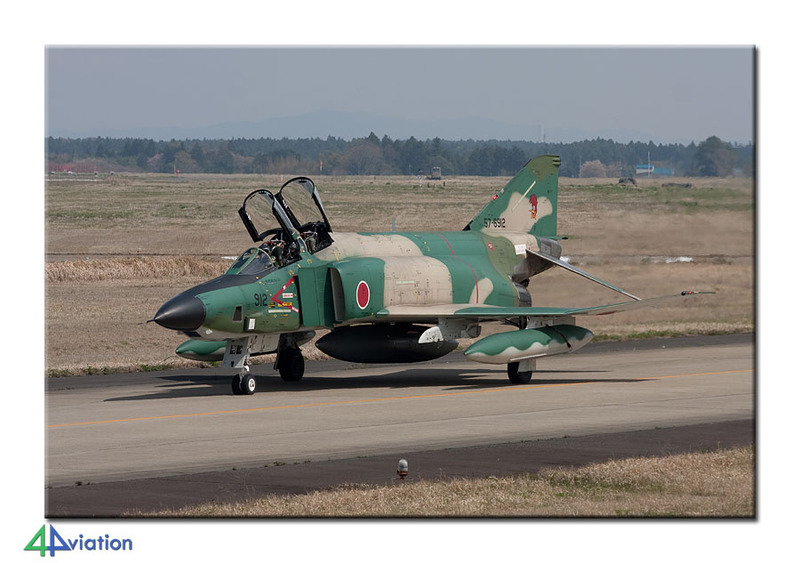 While entering the spot it also became apparent that the RF-4Es of 501 Hikotai, with their awesome colours, were also still pretty active. Despite the somewhat disappointing weather conditions, the aircraft flew a lot and huge amounts of pictures were made. Just after noon, it started to rain a bit harder, after which the group decided to leave the base at that moment and focus on a revenge visit later during the trip. 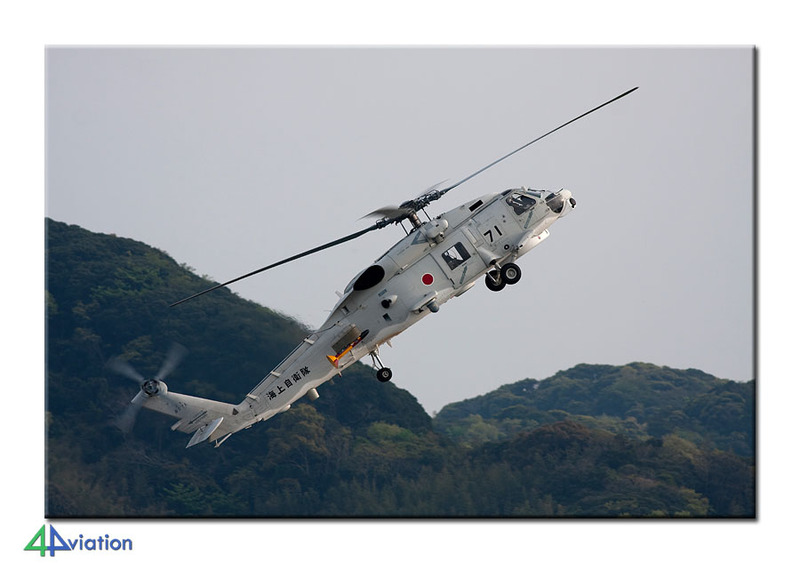 On Thursday, 8 April, the weather had improved considerably again when the froup arrived at Iruma. 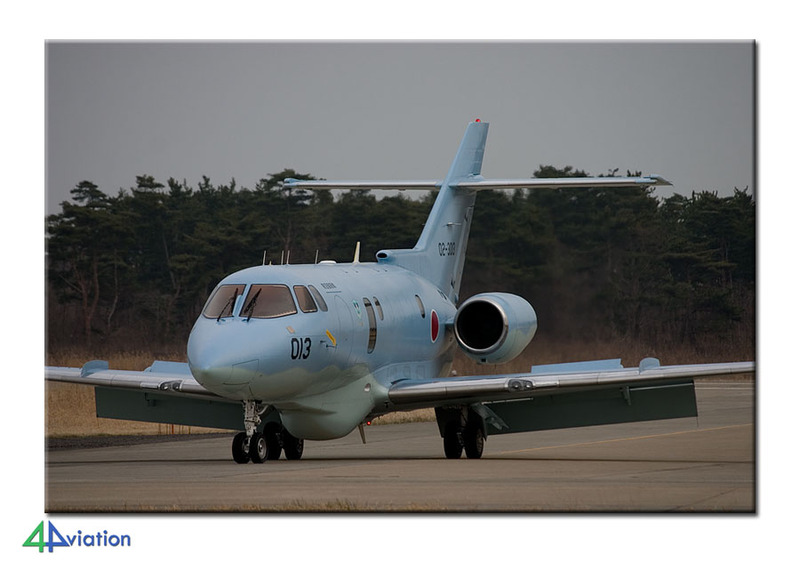 This Japanese air base offers a lot of different aircraft types (T-4s, VIP-aircraft, transport aircraft, helicopters, etc.) and, as is almost standard, very convenient photo spots. After a couple of hours making use of the stepladders, we continued our journey and headed for Atsugi. Here also a large amount of aircraft types! The base is home to several Navy-units, of both the Japanese and US navy. 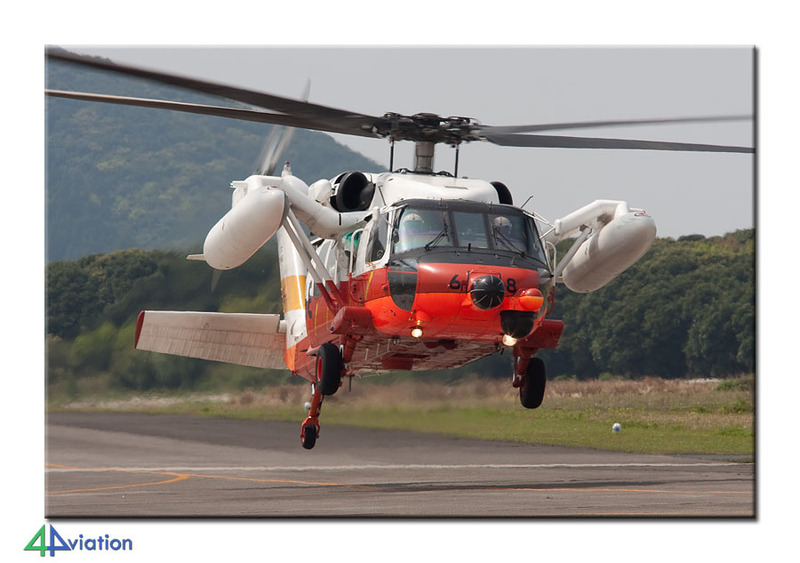 The Carrier Air Wing was present and sent a couple of aircraft in the air this Thursday afternoon. At the end of the day we drove to Fujieda. The Friday, 9 April, started with a small warm-up; Shizuhama. The T-7s of this training unit had started their activities quite early as well and after capturing a number of the aircraft we decided it was enough and decided to focus on our next goal for this day; Gifu. 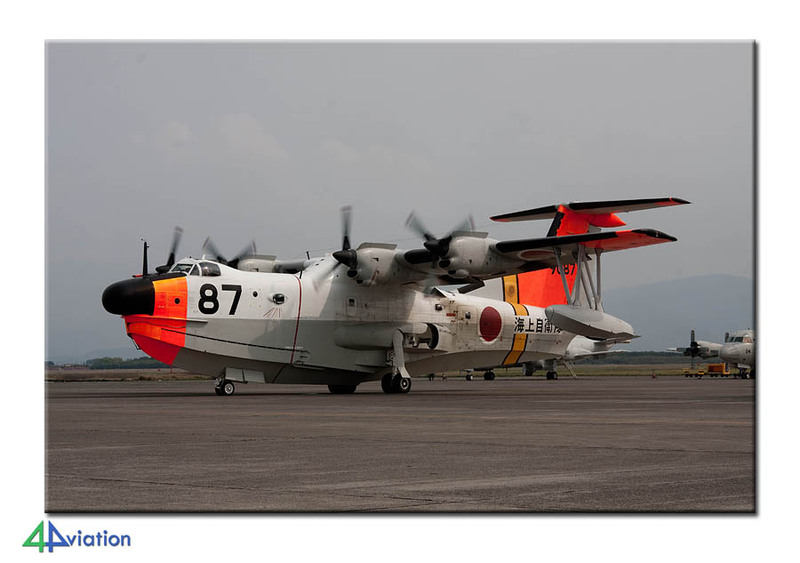 After an uneventful drive to this Japanese test base, we were welcomed there by the Flying Testbed of the C-1. This first C-1, with a very long pitot tube, took off just before we arrived. The aircraft was later pictured during landing. Other goodies that flew this Friday afternoon where the prototype of the F-2B, a T-4 with a long pitot tube and the prototype of the P-1, that made several passes (accompanied by an Orion). At the end of the day we had, more or less, started our long journey to Kanoya, by spending the night in Aioi. The Saturday was marked for ‘travelling’. The original itinerary foresaw a short visit to Kanoya on Sunday afternoon. When it became clear that this particular Sunday would bring an air show at Kanoya, the schedule was altered slightly, making sure that we would be present in time for this air show. This meant that the Saturday would be a little monotonous; spending time in the car, while driving. Despite the distance that had to be covered, we did visit the Hiroshima Peace Memorial Park in Hiroshima. After a flawless journey we checked in at our hotel in Miyakonojo early in the evening. On Sunday 11 April, the wake-up calls came quite early again. After some morning gymnastics (shopping at the 7-11) we headed for Kanoya. We arrived that right on time and the air show appeared to be a direct hit. A very nice collection of aircraft and helicopters, aircraft types that were still missing, were put together to form the static display. 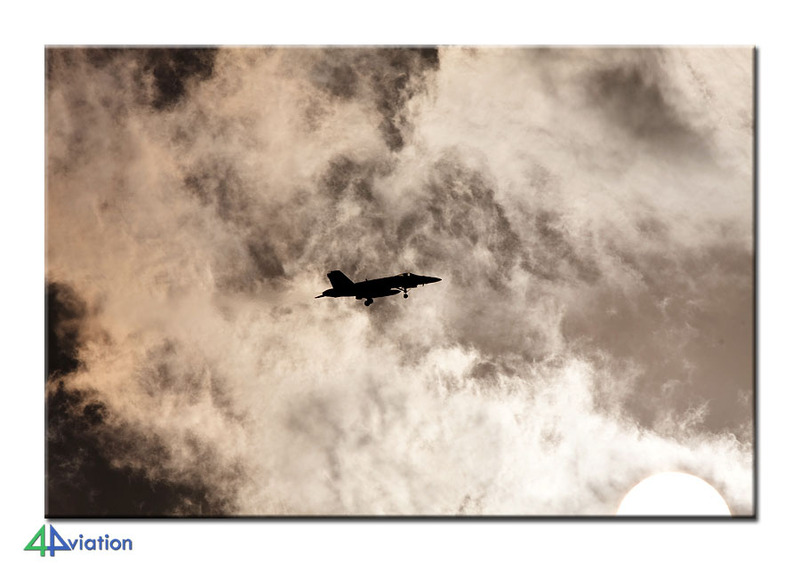 The air show itself was dominated by a display of 4 Orions that performed a show as if they were flying agile fighters. At the end of this sunny day all aircraft of the event departed again. By staying to the end, we have been able to make very nice pictures of all visitors, including the coveted US-1. The two cars, with 11 burnt and smiling faces, covered the distance to Miyazaki pretty quick at the end of the day. So far, all weather predictions, that we consulted, appeared to have been pretty accurate. This also meant that the outlook for Monday 12 April was; rain, lots of rain. And, indeed, the Monday that was meant to bring us Nyutabaru started with rain, lots of rain. A short visit to the base and a look at the platform of the base confirmed what we had been fearing; no flying activities. We decided to implemented back-up plan that had been prepared the day before. This included; going back to Nyutabaru and skipping Ashiya and Iwakuni, after which we could revert to the original schedule. On Tuesday 13 April, at Nyutabaru, we were very happy with the change of the schedule. They base continued flying during the whole day. 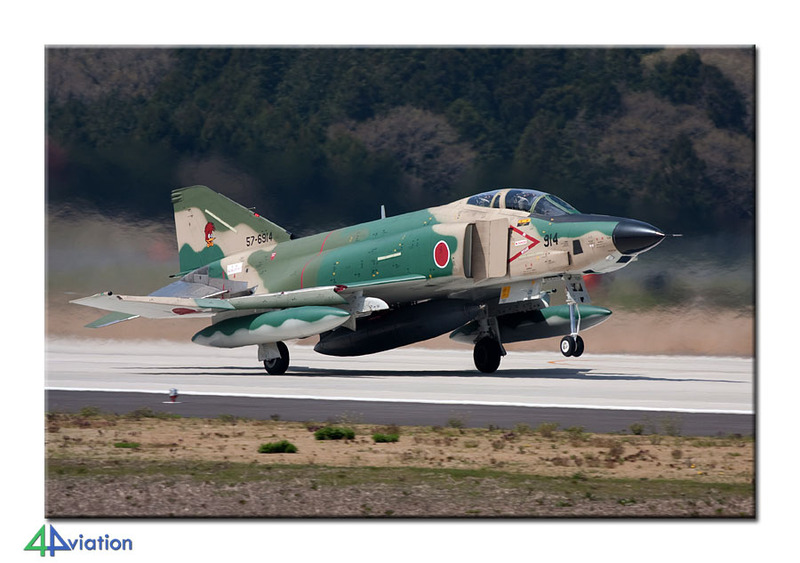 The Phantoms of 301 Hikotai, as well as the Eagles of the Hiko Kyodotai and 23 Hikotai and the aircraft of the Koku Kyunandan kept on moving the entire day. We therefore stayed at the base until late in the afternoon, to enjoy the photographic opportunities and the sun that was shining again. Since we ‘had’ to stay at Nyutabura a little longer, we arrived at our hotel in Fukuoka rather late. Despite that, we still had some driving to do the next day before we would be at Tsuiki. On Wednesday 14 April, we were able and ready very early in the morning again. At Tsuiki we encountered beautiful weather conditions. This meant great photographic opportunities for the F-2s, F-15s and T-4s from the quay wall. After a couple of hours we decided to leave, since we still had a long drive ahead of us. The next base for this day was Ozuki. Five T-5s of the Navy were flying circuits when we arrived. After these 5 were photographed we continued again. 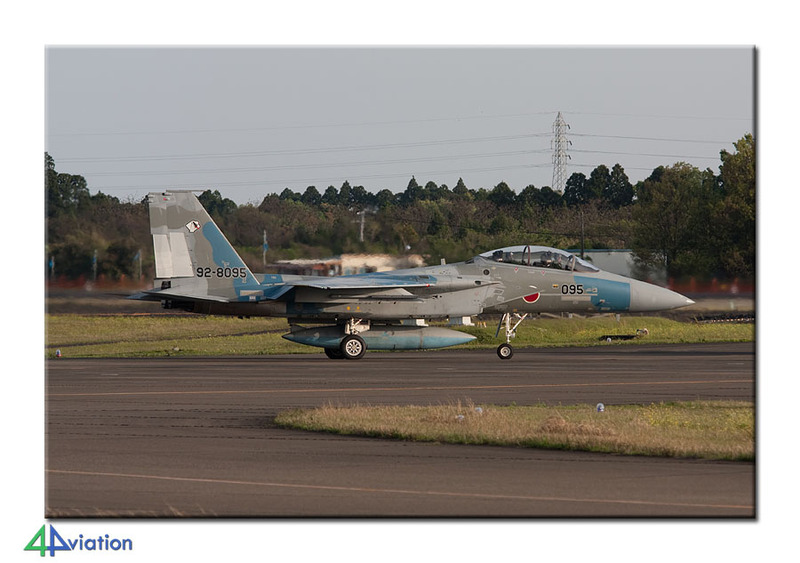 The third and last base for the day was Hofu and its T-7s. When arriving there is appeared to be a little bit to quiet. The platform was filled, but only two T-7s were active. The rest of the day was spent driving towards Akeno. While driving towards Akeno the next change to the schedule was discussed. Since the weather forecast predicted a lot of rain around Tokyo for Friday, we decided to spend both Thursday and Friday near Nagoya. We would therefore have more time for the bases already in the schedule, but also we could add Komaki and include a second visit to Gifu. Unfortunately, this also meant skipping the second attempt at Hyakuri. On 15 April, Thursday, we arrived at the fence of Akeno during the morning. The weather could have been a bit better, but the unit was producing a lot of activity. For one reason or the other, the choppers tended not to present themselves at the regular spot near the fence. Part of the group therefore repositioned themselves somewhere else for the best shots. After a couple of hours of chopper-clicking we moved to Gifu. On this day it again was made clear that the ADTW behaves like a regular unit; lots of flying activities! Very nice was the face that both F-2 single seat prototypes flew a mission together. Another nice addition was the T-7 of the test unit that presented itself nicely during landing. At the end of the day not a lot of driving was required, since we had booked a hotel in Gifu. In the meantime a number of reports on the cloud of ashes over Europe started to emerge. On Friday 16 April, we drove to Nagoya-Komaki in the morning. We spent a couple of hours near the new shopping mall (the former international terminal of the airport). 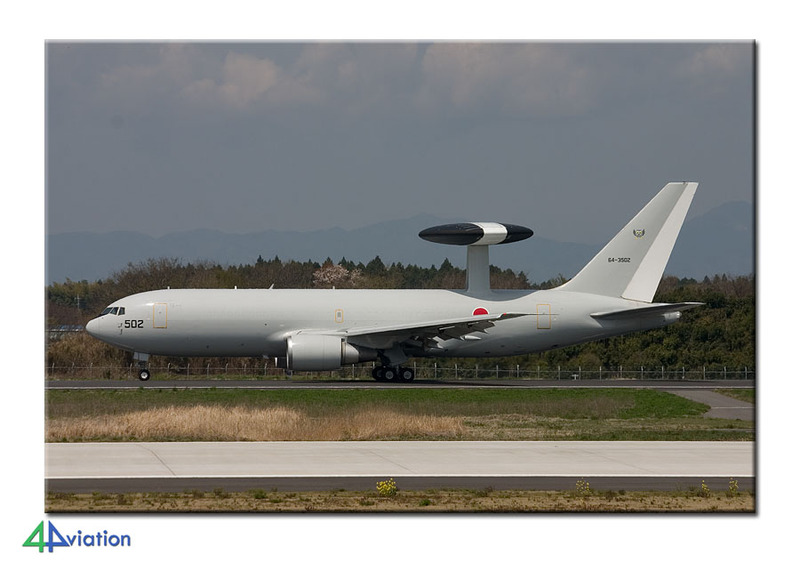 The sun, unfortunately, did not show, but despite that the F-2, the U-125 and a number of choppers could be pictured quite ok. On the other side of the base the KC-767s were photographed as well before heading to Hamamatsu. On this training base the number of activities on this Friday afternoon were rather limited. After a couple of sorties, the local T-4s were put inside their hangars. We then visited the very interesting air force museum near the base. At the end of the day we drove to Tokyo again. On our way over there the weather turned out to be very bad indeed, and staying in Nagoya turned out to have been the best choice. The hotel was near Atsugi, enabling those that did not want to spend their Saturday in downtown Tokyo, to try again at this naval base. During the evening it was confirmed that European air space was indeed closed and that there was no clues as to when it would reopen. On Saturday (17 April), part of the group took the train towards the city centre of Tokyo, while the rest visited Atsugi. At the end of the day everybody checked into our hotel near Narita. After a relaxed start of the Sunday, we all headed for the KLM check-in desks, knowing that our flight was cancelled. The information at the desk was a bit disturbing though… we were offered an option to reschedule to a flight on 30 April… the date was 18 April…! It then also became apparent that the staff was instructed by their European head-office not to offer any compensation or help at all. In fact they literally did nothing to help easy the situation. Only after 1.5 hours of discussion an alternative came to light, obviously not to their liking. If we travelled via Osaka, we could make it home on 22 April. So, we took that option and had the group rebooked to that date. We had consulted the EU-regulation in forehand and knew that KLM was obliged to offer hotel accommodation, food and general support. Unfortunately… KLM viewed this differently and did nothing! We had decided in the meantime that 4Aviation would bear the costs of the accommodation for the time being. Knowing the flight home would be a problem, we had already booked a hotel for the Sunday and around 16.00 we decided to go there. The frustration was put aside, the options weighed and a decision was made; we all put some money in the pool, re-rent our vehicles and we will try to make the best of it (at bases near Tokyo). The rental office was very near to the hotel and the cars even still contained our stepladders, that we had left behind at the end of the first rental term. The cars were therefore fully operational! On the first day of the extension (Monday 19 April) we first went to Shimofusa. At this naval base not a lot appeared to be happening at short notice. After an hour we decided to point the noses of our cars in a southern direction again, on our way to Tateyama. This naval helicopter base was pretty active and, while enjoying the sun, we spent several hours here picturing the choppers. A good start of the extension. 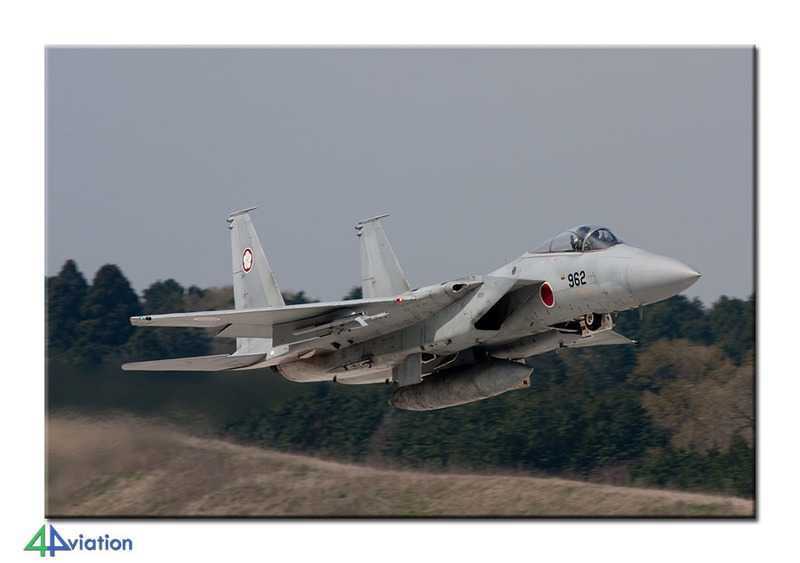 For Tuesday 20 April both Atsugi and Iruma were targeted. 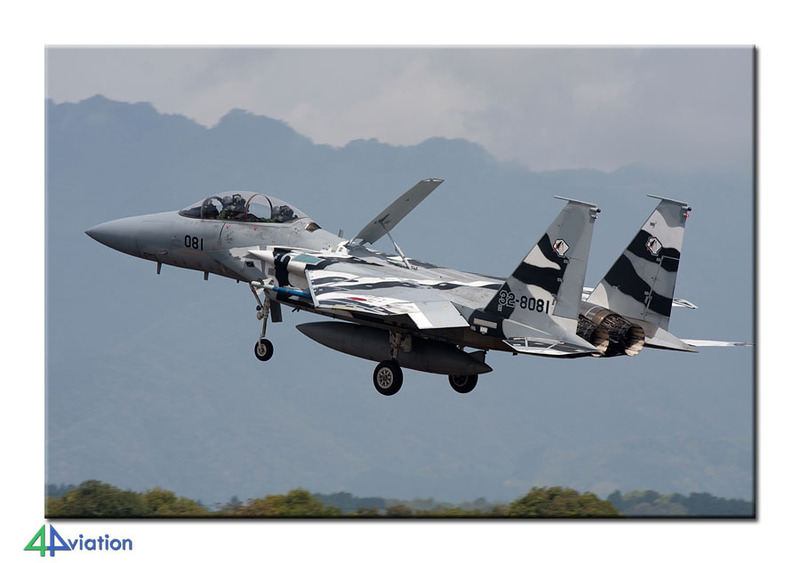 In accordance with the prediction, the sky was cloudy while at Atsugi. There was a lot of activity on base, but also in the air. The variety in aircraft types was very comfortable again. Everybody agreed that it was better to stay at Atsugi than to go to Iruma. During the afternoon it started to rain a little bit and we decided that we had had enough and drove to our hotel near Narita again. On Wednesday 21 April we were hoping for our second chance at Hyakuri, in order to top off the tour in a perfect way. The weather forecast was very good and we were present at the fence very early once again. We tried our luck by phoning the telephone number on the sign. And, much to our surprise, the lady with the key turned up in her car. After paying her the gate went open en within a couple of minutes we were climbing the platforms near/above the platform and taxi-track in full sunshine. A beautiful and appropriate ending of the trip. The Phantoms were very active and a visiting E-767 was the icing on the cake. By 13.00 hours we have to leave this spot unfortunately, in order to be at Narita on time for our flight to Osaka. Today our bed was in a hotel in Osaka. The final time the wake-up alarm went off in Japan, it was very early once again. We still had to travel some distance by subway and train towards Osaka and then try to check in around 08.00 hours. Despite the very long check-in line, everybody that wanted to go home but was using the standby option was in the cue, we managed to board the aircraft in time and fly to Amsterdam the same day.